The following is a list of helicopter-related books that I own. I've even read most of them. Arguably the best written first-person account of helicopter warfare in Vietnam. Pictures and narrative of numerous military and some civilian helicopters. Not useful for pilot training. Mostly narrative of the various uses of helicopters. 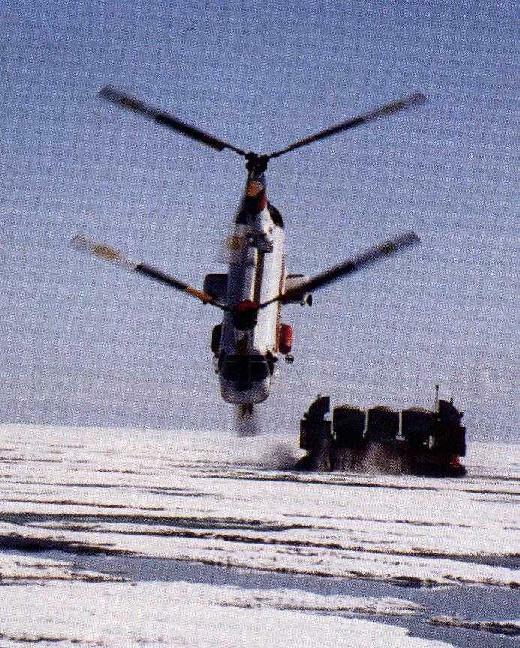 It includes a great picture of a Boeing Vertol 107 pulling a hover barge, with the helicopter in what looks like a 60 degree nose-down attitude (the text indicates the helo got down as far as 35 degrees). A color image of that picture can be seen here. Covers a variety of military and civilian helicopters, including the Robinson R-44, Hughes 500D, MD Explorer, CH-47D, Apache, and others. Slow going until our hero, the Bell 47, rescues an inmate held in a Mexican prison.